In part 1, we looked at Romans 1 in the New Testament of the Bible and saw God’s wrath as finally letting go of His chosen people to suffer the natural results of their sinful choices. A loving parent in the end must allow their mature children the freedom to make their own choices. There are many more references and stories in the Old Testament (OT) of the Bible about God’s wrath. Let’s examine some of these to see if this concept of God’s wrath follows through. In the article entitled “The Wrath of the Lamb” from the web site, GodsCharacter.com, Brad Cole examines some of these Old Testament references to God’s wrath and give his conclusions. “My God, my God, why have you abandoned me?” There are many variations of this that have essentially the same meaning. Why have you forsaken me? Why have you given me up? Why have you handed me over? There are dozens of times that these expressions are used in the Old Testament in the context of God’s anger – many more than I will include in this paper – but look for them the next time you read through the Bible. It is pervasive and redundant! “My anger will flame up like fire and burn everything on earth. It will reach to the world below and consume the roots of the mountains. I will bring on them endless disasters and use all my arrows against them.” (Deuteronomy 32:22,23 – GN). What happens when God pours out his anger and shoots his arrows and takes revenge? Don’t stop reading! “They fail to see why they were defeated; they cannot understand what happened. Why were a thousand defeated by one, and ten thousand by only two? The Lord, their God, had abandoned them; their mighty God had given them up” (Deuteronomy 32:29,30). So God, in his anger, abandons and gives up his children. But what does this really mean? We need some specific illustrations. And notice in these passages from Jeremiah, that he describes the reason for the pain–it is that they have abandoned God – and I will try to make the case just now that when we of our own free-will choice abandon and cut ourselves off from God and are separated from the God who is love, this is the experience of God’s wrath. Who does the punishing? It is our rebellion, our willful separation and abandonment of God. Living apart from God has deadly consequences. Sin is inherently destructive. God’s methods of love and discipline had failed to keep these people from this great rebellion. What is God to do? His people have told him to take a hike. Get lost. And so his choice is really one of two things. He can either become the puppet master and say, “you were free to rebel to a certain point, but now I am taking control. You are no longer free. I am going to control your life and you will obey.” Or, God can grant freedom to his people–freedom even to completely leave his side. What is the more loving thing to do? God gives them the freedom to leave his side. But is this really the most loving thing, for a God of love to do? Let’s say that someone wants to defy the law of gravity and jump off a cliff. Should God say, ‘No, you’re not free to experience that; I’ll suspend the law of gravity for you and you’ll have a soft landing.” ? Or what about an individual who slowly begins to drink more alcohol? On his way to becoming an alcoholic, should God intervene and forcibly restrict his freedom to drink? Or at least, shouldn’t God take away his freedom to drive? Well, if God lets him drive shouldn’t he at least ensure that if he does have an accident, that no one will be hurt? Or, should God at least make sure that only bad people will be hurt when he drives under the influence? Does God micromanage and manipulate the world in this way? Let’s say that God watches as one of his children begins to develop a warped picture, that of a god who is a severe and angry tyrant. 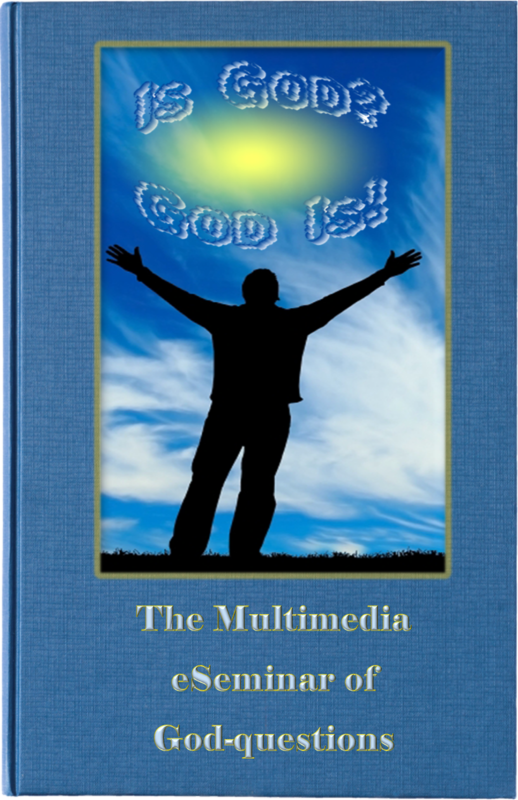 God intervenes by every means possible in that person’s life – he pulls out all the stops as He always does–but should he over-ride that man’s free will in order to prevent him from developing a satanic picture of God? What if that man decided to act on it, and actually came to the conclusion that his god would be very pleased if he flew a plane loaded with passengers into one of the trade towers in New York? Should God limit his freedom and prevent him from acting on his warped picture of God? Or should God at least intervene and make sure that only bad people got on those planes on that day? This is the dilemma that God is in, and when God allows his intelligent creatures to reject the truth and to make bad choices and to be given up to suffer natural consequences which are devastating to all around them, this is the experience of God’s anger. This is how God feels in His anger! God’s anger, when seen in this way, is perfect love. God is perfect love – a perfect love that casts out all fear. Is there still fear? If there is any fear it should be directed to the devastating consequences of cutting ourselves off from our loving Father. As with any loving parent, God will make it very difficult for any one of his children to abandon him and to leave his side. God is always and at all times pulling out all the stops for each and every one of us, His children, so that we will experience the opposite of separation and abandonment (His “wrath”), and instead to be wrapped up in His arms, like chicks by a mother hen. This is the perfect love of God and His perfect love casts out all fear. Another related question to examine would be What Is God Like? God Questions - Does God Get Angry?